Started in 2014, Mustian Architecture and Design is owned and operated by Stefanie Mustian, AIA. Mustian Architecture and Design offers an out of the box, innovative take on the project at hand, backed by nearly 10 years of experience on an array of projects across the nation, after having partnering with some of the top designers and AIA professionals in the world. "Beauty is a form of sympathy and consonance of parts within a body, as dictated by concinnitas. This is the main object of the art of building, and her source of dignity, charm, authority and worth." 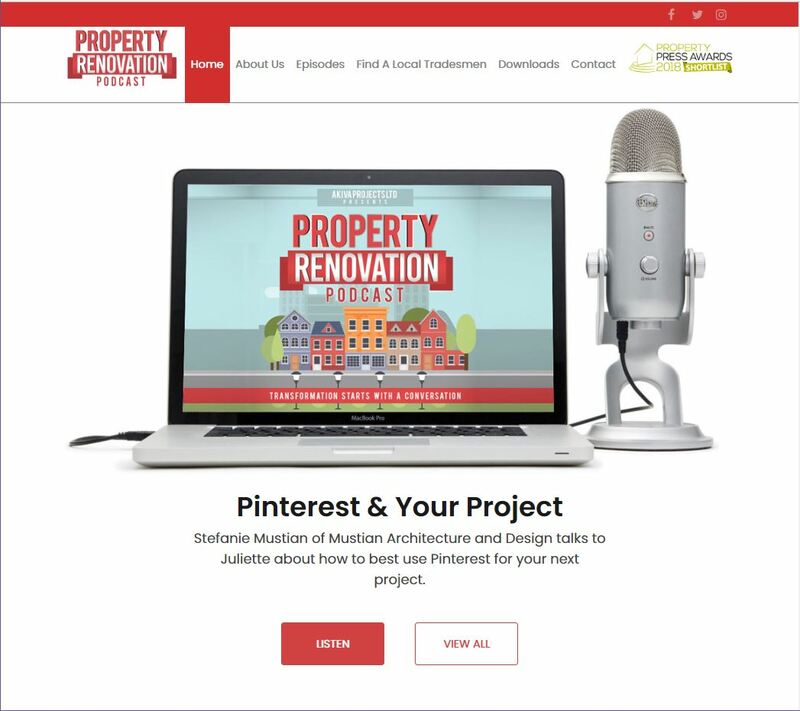 We’re so honored to have been invited as the guest speaker for Property Renovation Podcast’s Episode: “Pinterest & Your Project”.